KINDLE ALERT! KINDLE ALERT! KINDLE ALERT! 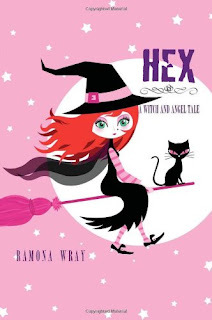 Hex, a Witch and Angel Tale by Ramona Wray , one of my favorite books of all time is now available for Kindle users! And it's only $4.33!! If you have a Kindle and are looking for a fantastic read, I highly suggest that you buy it. I loved this novel, and I honestly think that you will too. And not only is the novel itself absolutely spellbinding, but so is its author. Ramona is just a doll to work with, and I am honored to do so.